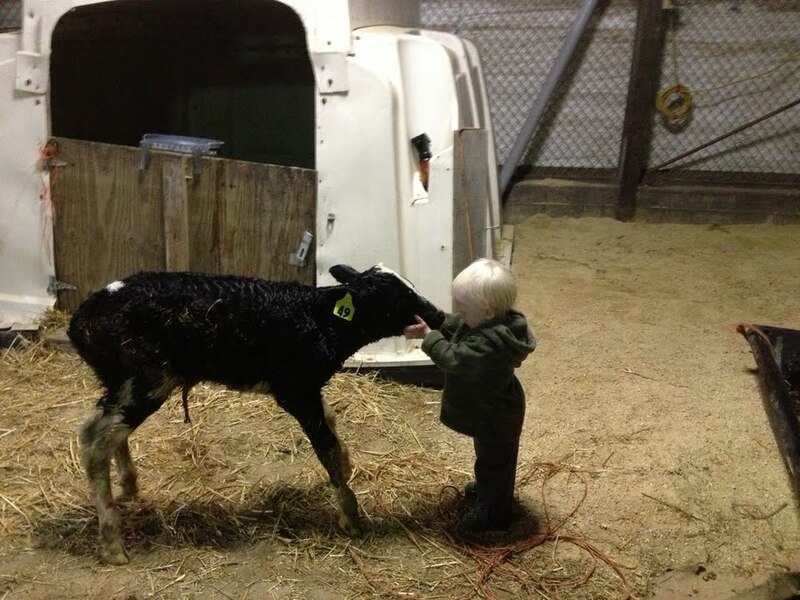 Owen Meet Calf, Calf Meet Owen! Owen is Theo’s little boy, and my nephew. He is 15 months old and is really loving living on the farm! Who knows, maybe someday he will be the 5th generation dairy farmer! The calf is 45 minutes old, and still a little wet and wobbly. This entry was posted in Animals, Cute Farm Kids and tagged agriculture, Animals, baby animals, cows, cute farm kids, dairy cows, dairy farm, dairy farming, dairy farming today, factory farming, family farm, family farming, farm, farm animals, farmer, farming, Modern Agricuture, modern farming, organic farming, production agriculture, sustainable agriculture, Wisconsin dairy farming. Bookmark the permalink. 1 Response to Owen Meet Calf, Calf Meet Owen! I like the part about 5th. generation farmer here…but would be 4th. at this place!